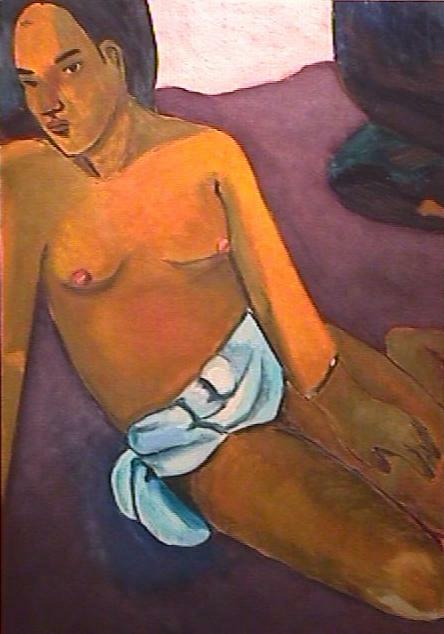 This is piece of a famous painting by Gauguin. The painting hangs(or used to hang) in the rotunda at the MFA in Boston. The assignment here was that each student in the class got a piece of the painting to reproduce and then when we were all done all the pieces were assembled on the wall.